Relocating to a new house is stressful enough without having to worry about the logistics of an entire move. So when it comes to the heavy-lifting (literally), leave it to the professionals — professional movers, that is. Experienced Downingtown, PA moving companies consist of expert movers and packers who can efficiently pack, move and assemble your Downingtown belongings to ensure that you get off to a good start in your new home! 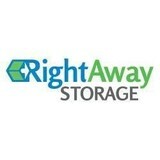 Fast and convenient moving services If you are moving to a new home or apartment then let us know. We can help you get packed up in no time, and moved to your new place. Don't want to pack? No problem. Bertom Moving of Bensalem, PA operates a full packing service and we will load and unload your possessions into your new home. We accommodate special needs If you have special needs and have difficulty getting around, we can help you, especially if you are over the age of 65. We can help remove the excess clutter that impedes mobility and prepare you in case you need to move to a more accommodating home. Our careful team will work within a 100 mile radius of Bensalem. We are a family-owned and operated business with over 40 years of experience. John Kane has owned Hercules Movers for over 25 years. He first started in the industry as a college student, supplementing his income with weekend work, long before owning Hercules Movers. This kind of knowledge ‘from the ground up’ serves him – and his customers – well today. From packing the truck efficiently to moving large furniture down tight stairways, knowledge and experience can reduce costs and damage to valuables. Every customer gets John's personal cell phone number, and they use it, as John strives to create a personal experience. Hercules understands that moving is stressful enough without worrying about whether the movers will show up on time. So Hercules works extremely hard to follow through on all those important details to ensure that each move goes smoothly. Call John to discuss your move. We are one of the most reliable and trusted moving companies in MD with a local family owned and locally operated business. No matter whether you are just shifting to another block or out of the present locality, we are certified, professional, prompt and reliable movers and packers in Bel Air Maryland that you can safely entrust your belongings with. Over a decade ago we recognized a need for a more reliable, more organized, and more professional moving company in the Bel Air area. As a family, we took it upon ourselves to rise to the occasion, and we’ve never looked back since. We have now built a reputation for dependable, secure, and affordable moving. 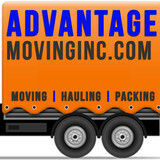 Moving your home or office is as easy as possible when Advantage Moving is on the job. At Ramsey’s Moving Systems, our philosophy centers around total customer service. With us you’re not just a number like other moving companies; you become our client and are considered part of our family. When you contact us at Ramsey’s Moving for a local, long distance, specialty moves, storage, or any of our other various relocation services, we guarantee that you’ll be dealing with dedicated professionals who are committed to making sure you have a smooth transition throughout the entire process of you move. We rely on the principles of honesty and integrity in all that we do so that you can have peace of mind. Our philosophy also lends itself to fair pricing, and we always provide all available options upfront so that you can have the chance to make decisions based on your individual needs. From residential moving to commercial moving and beyond, Ramsey’s Moving Systems is the company to turn to when you want to receive service from experience relocation specialists who care. Adams Moving and Hauling always comes first when it is about efficient, reliable, and timely moves. We’ve been successful providing safe and reliable relocation services for our clients in PA. We offer MOVING & HAULING services across the PA. We are equipped to handle many aspects of your relocation needs. Our Clients are our first Priority, We are cost effective and reliable moving company to ensure your satisfaction. We are 24/7 available for your moving needs. Mambo is a moving company and yet it's a bit more than just that. MAMBO WORLD IS A STYLE OF LIFE.The Mambo Guys are musicians and artists, actors and philosophers - everything but the traditional image of the surly caveman mover. At Millennium Moving Company, we specialize in taking care of all of your moving needs. Offering: Residential Moves Commercial Moves Piano & Organ Moving Labor Only (Available for inside moving needs) We are a family-owned and operated business (since 1998) with a trustworthy team. We offer short-term and long-term moving and storage solutions along with our local and long distance moving. We offer both residential and commercial moving services. We have 75 years of combined moving experience. We know your belongings are valuable to you and you want to hire somebody who will care for your belongings like they would their own. The most important component of this often-stressful and definitely-exhausting process is ensuring your belongings will be moved securely and safely. Carefully handling, wrapping, packing, boxing, lifting, and unpacking your family heirlooms, your Lenox Christmas china, your cool (and irreplaceable) Derek Hess art collection, Great-Grandpa’s favorite chair, all your high-tech audio and video gizmos and gadgets, your treasured dining room table, and all your recently-purchased pieces – is not an easy feat; that’s why you should hire professional, intelligent, and dependable movers. Every serious moving company should be licensed and insured. Intelligent Movers is fully Licensed and Insured in Philadelphia to meet state requirements and offer their customers peace of mind. 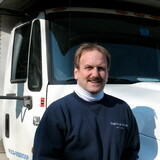 rofessional Movers getting Philadelphians' from Point A to Point B – quickly, affordably, and safely. We do it better than anyone else in the Philadelphia Moving business. Whether your moving your apartment items in the Philadelphia Moving area or an entire house in Montgomery County, whether you’re sending a piano from Delaware County, PA to Bucks County, PA, we have the right people at the right price. We provide hoisting services and climate controlled storage. We do residential and commercial moving. 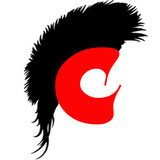 Our services extend throughout the area including Bucks County & Chester County, PA.
Systems Consulting and Contracting Services, Inc.
"Helping Businesses and Individuals Haul and Move" Systems Consulting and Contracting Services, Inc. located in Cheltenham, PA. We specialize in Junk Removal, Junk Clean-Outs, and Moving.